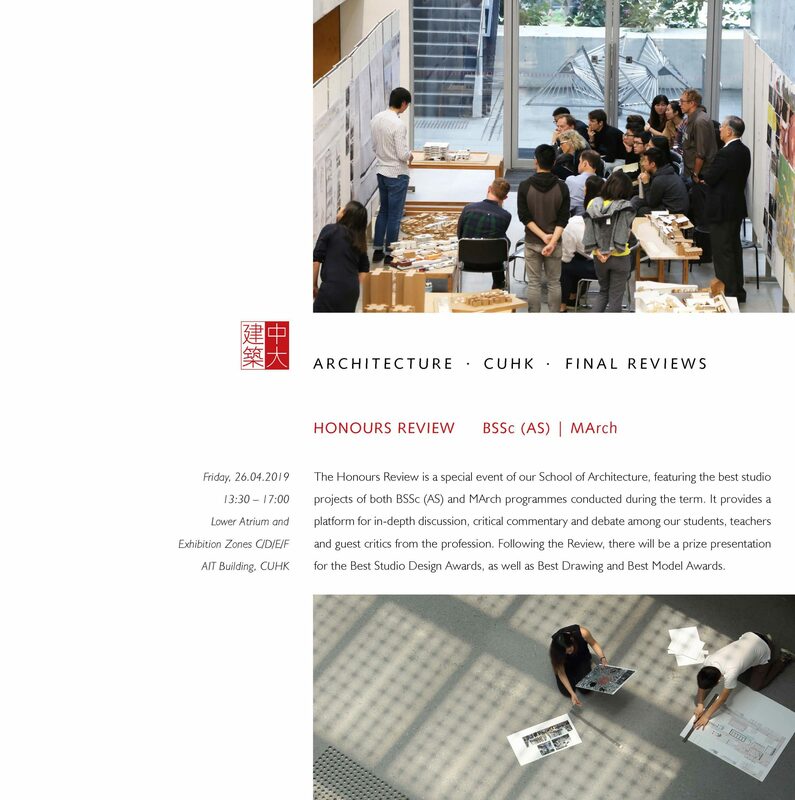 The School of Architecture at the Chinese University of Hong Kong is firmly committed to developing students’ core competency and critical thinking in order to achieve design creativity and leadership that enable lasting contributions to our built environment. The curriculum is structured not merely to train students to join the architectural profession, but to educate them in adapting to inevitable, future changes to be encountered during their careers. Under the leadership of Professor Nelson Chen, the School seeks to integrate design and research in its accredited professional programme comprising four-year BSSc in Architectural Studies and two-year MArch degrees. Other postgraduate degrees include the MSc in Urban Design and the MSc in Sustainable and Environmental Design, in addition to the MPhil and PhD research degrees. There is no more exceptional time and place to study and practice architecture and urban design than now in Hong Kong, situated at the heart of the region in China and Asia where 21st century cities are changing and growing with unprecedented speed and scale. Our graduates will be challenged to become both visionary and grounded in order to design buildings and cities both beautifully and responsibly while striving to shape a better world for their generation.